Transportation Costs > How Much Does a Submarine Cost? How Much Does a Submarine Cost? A submarine used to be a military tool, but recently, it has turned into a luxury by the ultra rich. On average, a submarine could be as little as $80,000 for a simple pedal-powered submarine to as much as $80+ million for a recreational use submarine. Slate.com says it is possible to buy your own personal sub, with prices ranging from as little as $600,000 for an entry-level, winged submersible submarine to as much as $80 million for a 5,000 square-foot submarine with a living and dining room. For example, the company, Triton, has a sub that’s rated to go as deep as 3,000 feet. Most of their models cost well over a million dollars. Thrillist.com broke down the 12 personal submarines you could purchase right now. According to their list, prices ranged from as little as $80,000 for the Seabreacher X to as much as $2 million for a submarine-like sports car. The 377-foot Migaloo submarine, considered to be the most luxurious submarine on the market, had cost $2.3 billion to build. The military, on the other hand, spends close to $2+ billion per submarine. The U.S. Navy’s Virginia-class New Attack submarine, for instance, costs $2.4 billion and is capable of carrying 16 Tomahawk cruise missiles. The Ohio-class can cost almost double that at $4 billion. 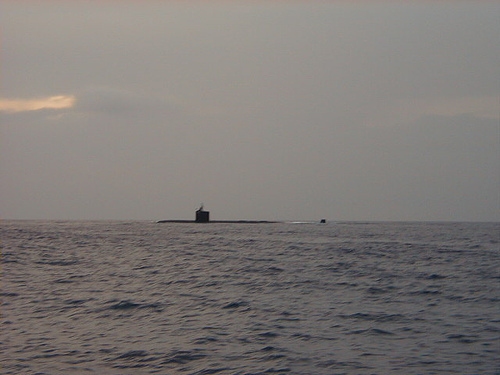 An entry-level submarine, often the cheapest option available, can be launched from a ramp or beach and are easy to maneuver. These submarines are capable of barrel rolling, leaping out of the water and are ideal for those who want to explore the water. However, unlike the submarines you’re used to seeing in a movie, these entry-level models often can’t go very deep since they have to keep moving in order to stay submerged. In most cats, manufacturers require that recreational sub owners go through a training course, similar to that of a yacht captain controlling a boat. Pilot training will be required, and in some cases, the company, depending on who you purchase from, may not include it. For a fee, however, they may be able to send a qualified professional to train you. This fee, on average, can be anywhere from $5,000 to $15,000. Spare parts can be very costly when compared to other modes of transportation, and as with anything with working parts, it’s bound to fail sooner or later. A control panel, for example, can easily cost $5,000, whereas a deep cycle battery can cost close to $10,000 for a recreational sized submarine.